There’s a fascinating aspect of summer holidays when combined with seawater activities on Halkidiki! Most beaches – covered mainly with fine sand – are located next to modern and well-equipped facilities for all kinds of water sports, offering their sporty visitors some carefree and stimulating fun-time. 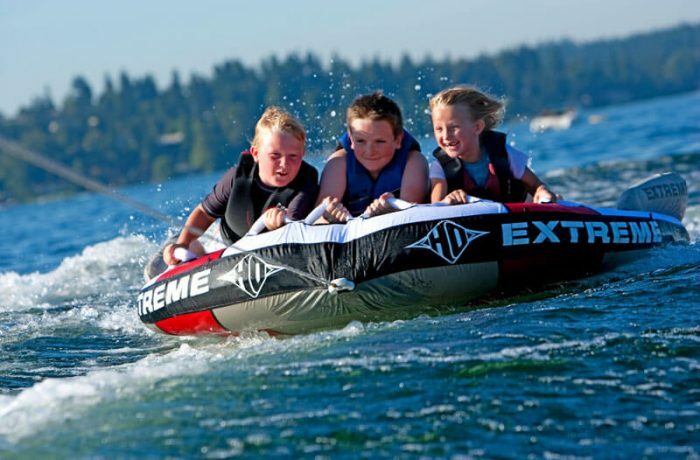 The adrenaline lovers can choose from a range of exciting motorized water sports like water skiing and parasailing, activities for which you can get information at the Watersports Centers. There are also water sports for the whole family, such as pedalos, ringos and banana. Water sport centres can be found all around Halkidiki! Most of the beach resort hotels have such facilities but also, at most of the well-known beaches like Nea Potidea, Sani, Siviri, Possidi, Polichrono, Glarokavo etc in Halkidiki.